Sealer - What type of sealer did you use for the tile here and around the pool. Is it slippery? Can you or is there an oil that can be applied. 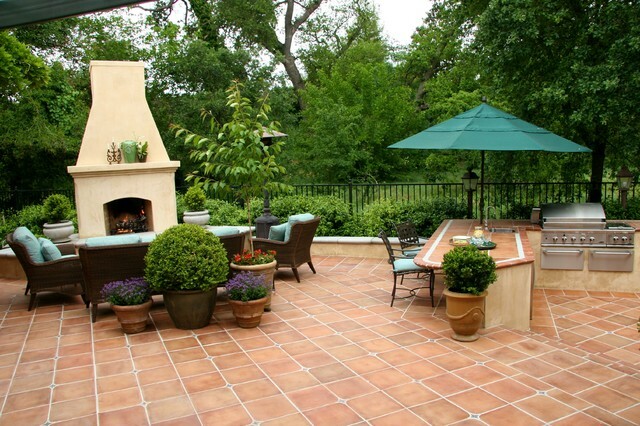 The way the patio contours to the grade of the land with a step down onto a second patio area. Like the fireplace (if it didn't have the chimney stack); nice size. Like the grill area, but ours wouldn't have to be anywhere near this size.